KARACHI: Snatching of mobile phones and theft of motorbikes registered an increase till Dec 28, 2017 as compared to the same period of the previous year. However, there had been a significant decrease in targeted killings, bomb-blast related terrorist activities, kidnapping for ransom and money extortion cases, which the law enforcers attribute to the ongoing operation in the metropolis since 2013. The data was prepared by the Karachi police and obtained by Dawn. 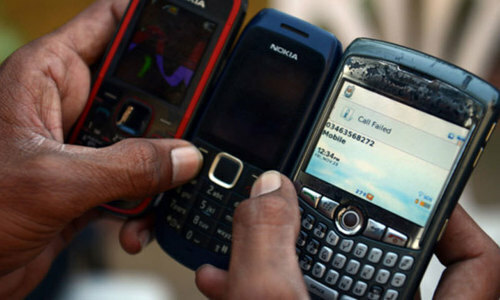 Similarly, 16,232 mobile phones were snatched at gunpoint as compared to previous year’s 16,069, revealing a rise of 1.01pc in this category of street crimes. Meanwhile, snatching incidents of four-wheelers also decreased in 2017. According to the figures around 22 people had fallen victim to targeted killings in 2017, as against killing of 45 people the previous year, depicting a fall of 51.1pc in this head of the crime. Crime data also revealed that 562 people were killed on account of personal, other vendetta and street crimes etc in 2017 as compared to 667 people murdered in 2016, showing a decline of 15.7pc. Police claimed that only one incident of terrorism (bomb blast) took place in 2017 in contrast to the the previous year’s three, portraying a decrease of 66.7pc in the category of terrorism. 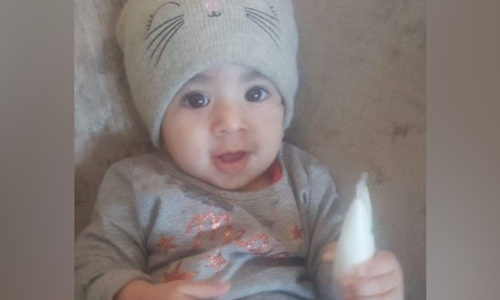 As regards to kidnapping for ransom, merely 13 cases were reported in 2017, though 21 such cases were registered in 2016, presenting a drop of 38.1pc in this crime. 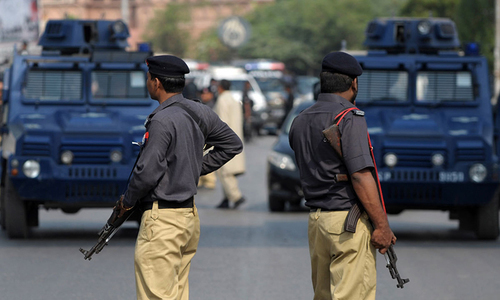 Additional Inspector General Police Karachi Mushtaq Ahmed Mahar told Dawn that the overall law and order had improved significantly in the metropolis. However, he admitted that more was needed to control street crimes, particularly with the help of technology. Though police had enhanced patrolling and picketing, installation of hi-tech CCTVs were required to further curb street crimes. Moreover, controlling street crimes also required standardised number-plates in vehicles and installation of trackers, especifically in motorbikes. Another issue which police faced in curbing street crimes was traffic jams partly caused by the ongoing development works. Mr Mahar said they had brought the matter before the concerned authorities that either the development work should be completed at the earliest, or it be carried out at night to avoid traffic jams. Besides, 22 CCTVs had been put in place by Ismailis, Bohras and businessmen as part of their neighbourhood watch, hence lowering the crime there. 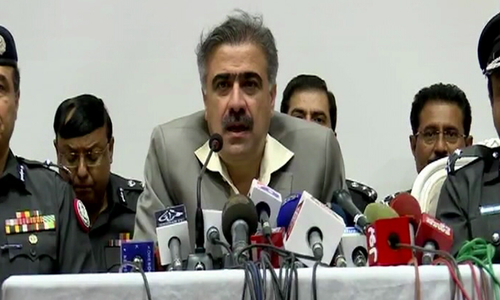 CPLC Chief Zubair Habib had also observed a downward trend in all major crimes except theft of motorbikes. He said that the issue had been taken up in the Apex Committee meeting. Subsequently, three meetings were held by the home minister with all stakeholders present, including the CPLC. It was also decided in principle that legislation would be introduced to make installation of trackers in motorbikes as ‘mandatory’ and registration of bikes won’t be done without it. Besides, number plates would also be installed on the front of the two-wheelers. Stealing is a job for people without jobs. And we thought that all was under control during the last year owing to our valiant forces action to curb such activities by the criminals.